The NBA season starts tomorrow with the Mavericks face the champions San Antonio Spurs. The Dallas Mavericks will formalize this afternoon a contract with the Puerto Rican point guard ,according a sources of Newspaper El Nuevo Día. The contract would be $ 1.2 million veteran minimum payment in the NBA, after the Minnesota Timberwolves agreed to pay $ 3.3 million for the 'buy out' to declare free. 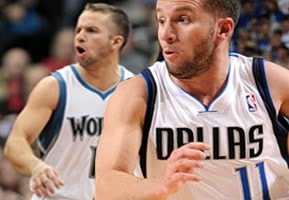 In total, Barea would be earning $ 4.5 million.